The "GRIPPERS" (Getting Homeless Without Even Trying) was introduced here, in serial form, on June 6, 2011. It ran for 20 weeks (episodes) and followed the journey of Bob and Tracey Slider and their son, Jake, 12, as they plummeted downward toward the murky, scary world of being homeless. If you would like to start at the beginning scroll DOWN to the first chapter. I just felt compelled to write a few words about a simple man, a man of incredible faith, unyielding loyalty, and a heart so filled with love for his wife and child it might have exploded if that were possible. I am referring to Joseph (Yosef in Hebrew) the husband of Mary and the earthly father of the Messiah, Jesus Christ. We all know him as St. Joseph. I am not going into any theology here. Nothing about the Pauline Epistles or the Gospels of Mark and Luke or the apocryphal works that have varied "opinions" about the man and his time. I just want to look at Joesph as a husband and a father and try, just a little bit, to get into his shoes (sandals). First of all, Joseph was a "righteous" Jew. This meant he followed the Law of Moses and did it to the best of his ability. He was a true man of faith. I do not care how old he was when he became betrothed to Mary. All I know is that "betrothal" under the Jewish law was like a pre-marriage. Sort of like a post-engagement. There even had to be a rabbi officiating. You did not walk away from a betrothal. No sirree, to get out of a betrothal you needed a divorce. So what happens? Joseph and Mary become betrothed and Joseph finds out she is pregnant. This is not 2012 we are talking about, this is over 2000 years ago. Mosaic Law permitted the actual execution by stoning of the woman. What would I have done? What would you have done? Damn--I can't imagine being confronted with that situation. So, I don't know what I would have done. Not our man, Joseph. He loved this woman and married her anyway. I know, I know, he had the dream and everything. But haven't you ever dreamed and I do suggest that, as a man during those times, being faced with the reality of what was going on, he could have ran away from that dream like an Olympic sprinter dashing toward the stadium exit instead of the finish line. Yet, he married her and they had a nice reception, they moved in together and about four months later it was time to travel to Bethlehem for the census. So now I'm thinking of me and what would I do. I'm thinking; My wife is due any day.I have little money and I have to make an 80 mile trip over rugged and dusty terrain that will take maybe four to five days if, I can do 20 miles a day. Heck, I don't want to make the trip so how is she going to be able to deal with 20 miles a day for 4 days? Okay, okay, there is no choice. Dang, I hope that donkey can take it. I probably would have tried to hook up with a caravan as I traveled assuming it would be safer in numbers. I do not know if Joseph actually did that. The bottom line is, he had to take his pregnant wife and let her sit on the back of a donkey and travel 80 miles. Nice trip. I would probably hate myself for doing that. Think about it, we can drive 20 miles in 20 minutes doing 60 mph and we still complain. Anyway, he gets to Bethlehem and there is no place to stay. Not a lousy room anywhere, even in a dive. She is already in labor and he is probably freaking out a bit. If it was today at least he probably would have had an old Chevy or something that she could have laid down in. He winds up in a smelly stable with animals and straw and his son is born and it is a beautiful thing but I'll bet he would have done anything to get his wife and son into a room, any room. And along comes Herod and his insane jealousy. Joesph hears about King Herod wanting to kill his baby. Just imagine for a moment that the government had soldiers out looking for your child so they could kill it. I can't imagine. In fact the maniac king has thousands of children killed figuring sooner or later he would kill the right one. MADNESS----Why? EGO. The trip to Bethlehem was a cake walk compared to the Egypt trip. But Joseph somehow manages to make it about 300 to 350 miles to Egypt with a wife and a newborn and remains there a few years. Then, when he knows it is safe, he goes to Nazareth and resumes his trade as a carpenter, teaching his Son the law and the trade. He passes away before his Boy begins his public life. His Son is at his side as he breathes his last. I love this man. Thank you Lord for giving us St. Joseph, the best husband and dad ever. All of us should think of him this Christmas. He deserves it. I'm done. enter to win a copy of my book, "The Priest and the Peaches." The Christmas season has triggered what seems to be an all out barrage of vitriolic ranting and raving by a gaggle of the enlightened, highbrow, polished, pompous, intelligentsia that satisfy their quest for validation by spewing their crap all over the place. You know what---Christmas IS a celebration of the birth of a child and the peace and joy and promise that came along with that birth. That is what the "Holiday" is all about. What is wrong with these people? How did they get so UNINTELLIGENT? As a man who loves the Christmas season and all it represents and all it has done for so many, to all you self-righteous, moronic thickwits who despise the word CHRISTMAS and hate what it represents, I say, BLUBLLLBLUBLLL!--that is a "Bronx Cheer" written out. Let us briefly review the success of the unintelligent over the last several weeks. The word "Christmas" is banned in some schools. Kids in some schools are NOT allowed to hand out religious Christmas cards. Nativity scenes are banned from many schools and public places. I could go on and on but for what. If you are reading this you get it. The ultimate in "Unintelligent Babble" came from NBC's medical director, Nancy Snyderman. Somehow she managed to summon from deep within herself a pronouncment that when it comes to Christmas, "religion mucks the whole thing up". I heard it--she said it and it is all over the tube if you would like to hear it for yourself. That's right, "religion mucks the whole thing up". This from a highly trained and well educated woman. Hey Nancy---BLUBLLLBLUBLLL!! Finally, let me mention the DC Abortion Fund. These folks have decided to celebrate a baby whose birth brought "joy to the world" by having a "Peace, Joy and Choice Winter Holiday Party" at the upscale Capitale Lounge in Washington D.C. Five per-cent of the money from their drink orders go to fund the organization's sole purpose which is to help fund abortions so babies preparing to be born can be obliterated. (Maybe they are big fans of King Herod.) How convenient to use a day they denigrate to raise money to defile what the entire season represents. And they all pretend that they are so well educated and sophisticated. Yeah, right. It is less than two weeks until Christmas. I am sick and tired of all of this anti-Christmas, anti-religion nonsense coming from a tiny percentage of the misguided who simply want to take the joy they refuse to experience away from the vast majority who do. Look, if you choose to embrace a concept that does not make sense and be miserable, knock yourselves out. But leave us alone. Celebrating peace, joy and love is a GOOD thing. I truly extend my wishes to ALL for a blessed Christmas Holiday. If you refuse to accept the sentiment---BLUBLLLBLUBLLL!!!! 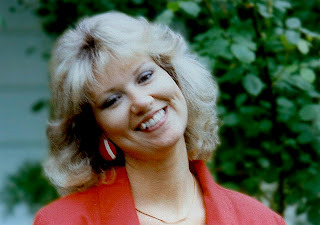 Dianna is a young woman in her late 20’s when she meets John, a man in his late 40's. They fall in love and marry. A central feature of their life plan is to have one child to fulfill her fervent lifelong dream of being a mother. Not long into their marriage, Dianna discovers she has an aggressive form of breast cancer. Hand in hand, they begin a 17 year spiritual journey into the nature of love and healing. 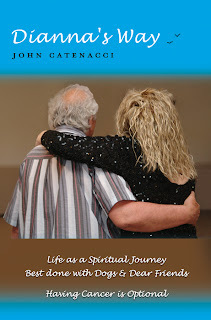 Along the way, she discovers and fulfills her life purpose and, in the process, takes John by the hand, gently helping him to reveal, then fulfill, his own. In the beginning, John, being much older, thought he would be her teacher but gradually discovers in the most important dimensions of life quite the opposite is true. 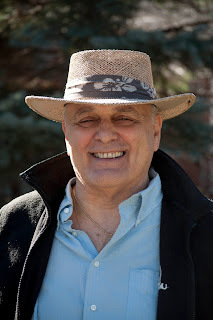 With Dianna’s guidance, he ultimately discovers we are all teachers, we are all students and we are all one. Theirs is a story of courage, determination and a lightness of being, as they descend into the deepest valleys of crushing disappointment, pain and suffering only to rise again to ever higher peaks of appreciation, gratitude and love. Throughout it all, their journey is laced with light and laughter. Even today, after her passing, they continue their relationship, piercing the Illusion that veils this reality, exploring its limits while continuing a spiritual journey without end. Giveaway: Win 3 top-rated Christmas Kindle ebooks! 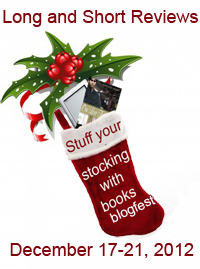 Win three top-rated Christmas Kindle ebooks! A lonely career woman stranded in a blizzard, a disillusioned man who has cut himself off from women. When he rescues her from the snow and takes her into his home, the spirit of Christmas and his little girl's love work their magic. When Gertie Nichols passed away, her estate was given to her great niece, Molly. After making the long trek from Florida to Vermont with her dog Remy, Molly is caught off guard by the attractive groundskeeper her aunt left in charge. 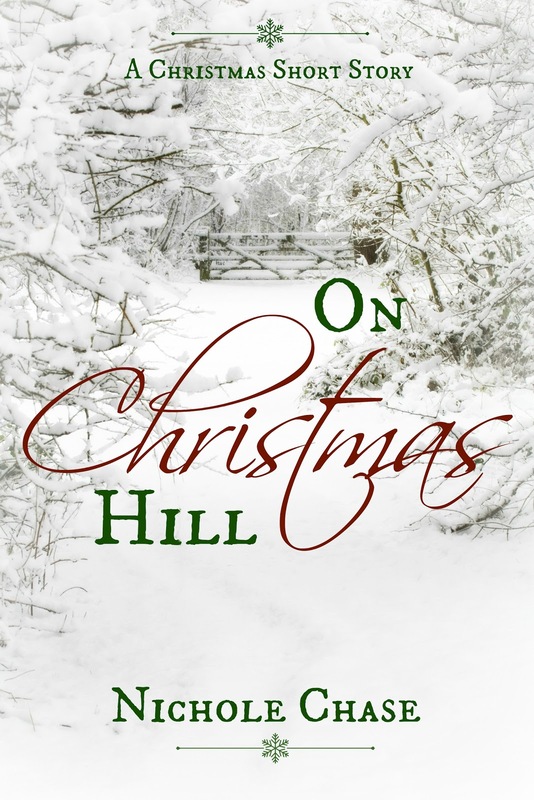 At first her lonely holiday seems to be shaping up to be better than expected—until Nate tells her about the Nichols family legacy and the secret of Christmas Hill. As sparks fly and magic blossoms right before her eyes, Molly will have to decide whether to take up the mantle her great aunt’s left behind or turn her back on tradition and the man who has quickly garnered space in her heart. It’s the most wonderful time of year for everyone in the small town of Charity, Florida. Everyone, that is except for Grace Hudson. 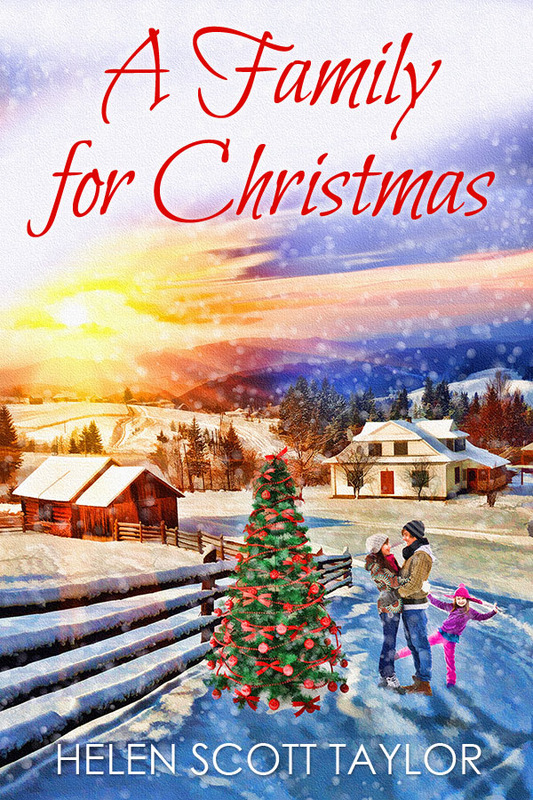 Grace associates Christmas with bad memories and is determined to be immune from the cheerful holiday. All she really wants is to sell the diner that she inherited and move North to the glorious anonymity of New York City. Stuart “Mac” McCrae loves Christmas! As an award-winning photographer he just needs to get that one perfect picture before heading south for the holidays. The only thing holding him back is the small, undecorated diner that sits in the middle of the beautiful main street of Charity. Determined to get that picture, Mac sets out on a quest to reintroduce Grace to the beloved holiday, unknowingly bringing her face to face with the pain of a long ago Christmas. Can Mac help Grace let go of the past and again embrace Christmas before his deadline to get the perfect picture passes? Giveaway ends January 2, 2013.